The majority of articles on optometry history have been published in rare and historical ophthalmic periodicals. These publications contain significant contributions to optometry history. They also provide an opportunity to examine the evolution of optometry historiography. This article discusses methodological and theoretical approaches to advancing the historiography using the critical resource material available in historical periodicals. 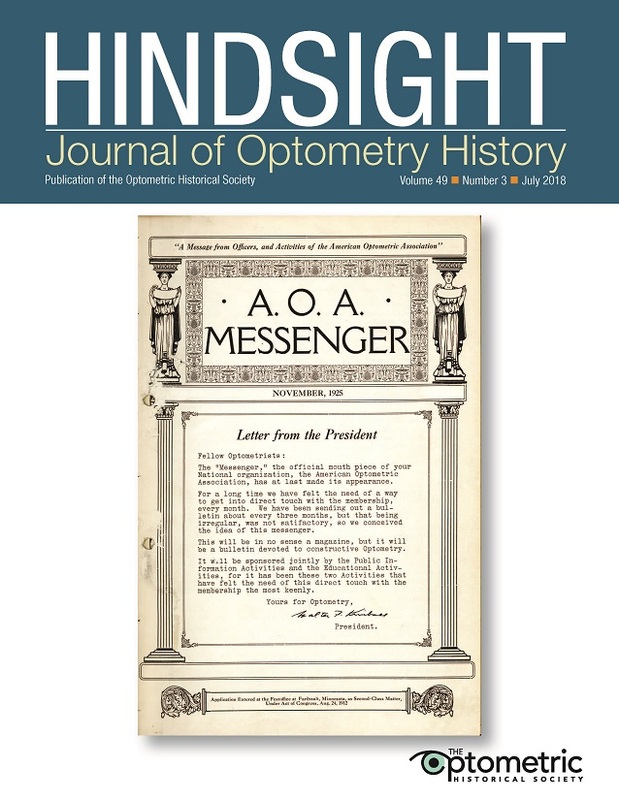 The article also evaluates the status of preservation and access to historical ophthalmic periodicals and publishes an abbreviated, annotated finding aid for ophthalmic periodicals held in The Archives & Museum of Optometry.